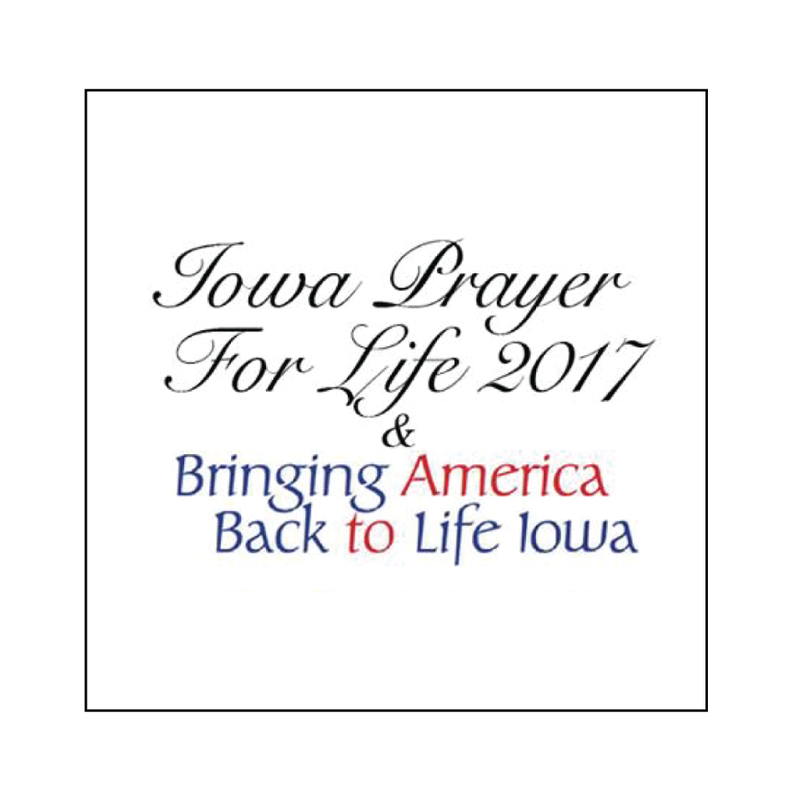 Please join the greater Iowa Pro-Life Fellowship for a full day of prayer, fellowship, and fighting side-by-side for life! 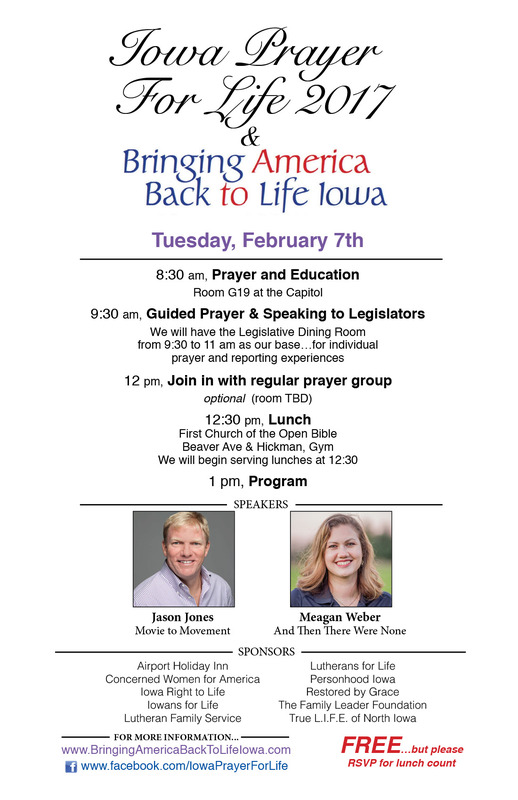 We will begin with prayers and education at the Iowa State Capitol (Rm. G19). We will then be lead upstairs to meet with our elected leaders to pray with (and for them) and urge them to vote in a way that protects life. During this time, we will have the Legislative Dining Room available for quiet, individual prayer time and reporting back with your experiences. At Noon, we will have the opportunity to join with a group of weekly prayer warriors as well. Lunch will begin to be served at First Church of the Open Bible at 12:30 in the gym. Our program, including our excellent speakers, will begin at 1 pm. This event is FREE! We just ask that you RSVP so we have enough lunches. A free will offering taken at the end of the program.